I hope this week has been good to you all and that you have some fun plans or relaxation that you’re looking forward to this weekend. I’m planning on spending the weekend with my family and cannot wait! It was my Mom’s birthday yesterday, so my Husband and I are hosting a birthday dinner for her at our house tomorrow night. I plan on making some of my famous lasagna with a bunch of delicious sides, and then our family’s traditional chocolate chip chiffon birthday cake for dessert, so I am having lots of yummy food thoughts today! I know what you’re thinking. And no, I will not be living in the buff this year. I have decided that 2015 is the year that will be completely free of any clothing purchases for myself. I was inspired by this personal challenge near the end of 2014 when it dawned on me that I had a somewhat large wardrobe, but kept wearing the same 10-15 comfortable and functional pieces that I love. Happy Monday, Friends! Hope you all had a wonderful weekend. Feeling a little sleepy today? If so, I hear ya! Little Miss will be 7-months-old this week and still is not sleeping through the night whatsoever. She is currently cutting her second tooth, so it seems to be at least momentarily getting more difficult instead of easier in regards to me being sleep deprived. Lately she’s been waking up a minimum of 4 times per night, sometimes up to 10. I also try to wake up before her (usually around 5 or 5:30a) to get an hour or two of work done before she wakes up for the day. Needless to say, I’m exhausted. There’s a few tricks I have up my sleeve that I use on a daily basis to help me power through my day and still remain productive even though I haven’t had a good night’s sleep in a very, very long time. 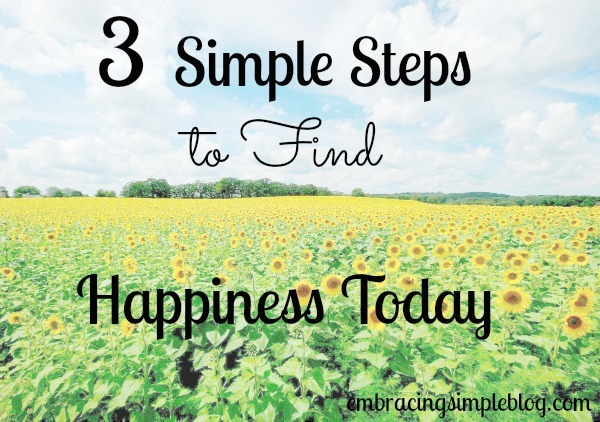 I’ve talked about finding the happiness in today and how being happy is a choice that we make each and every single day. 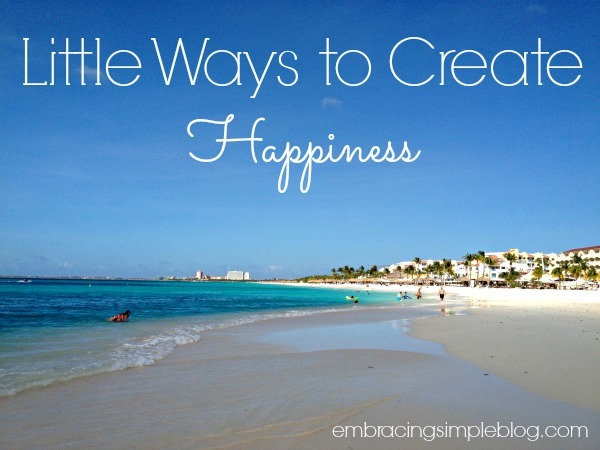 Many search for happiness and aren’t quite sure where to find it or how to go about obtaining it, and I am someone who believes that the answer is to create your own happiness. In the spirit of creating your own happiness, I’ve assembled a list of easy things you can do to create happiness for yourself (and even those around you). You’ll find that creating pleasure in your life doesn’t have to be expensive or a huge production. 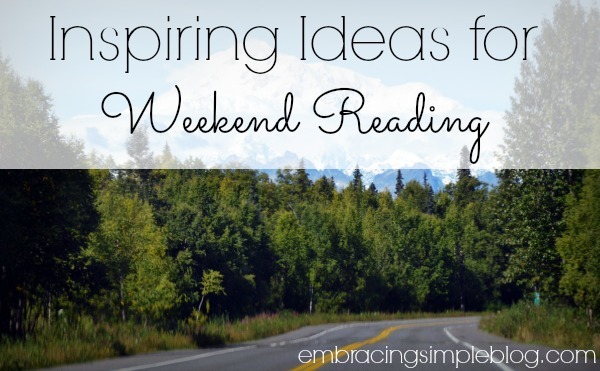 I hope these ideas inspire you and help to bring some joy to your day! I’ve been working from home (I have my own freelance business) for 2 years now and have established some habits that really help me to buckle down and be productive. 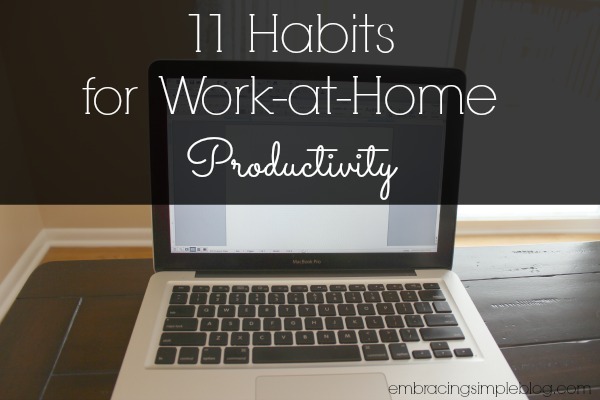 I thought I’d share some of the habits I’ve found to be helpful for anyone who currently works from home or is considering it in the future. Many of these are also relevant to anyone who works in an office. These all applied to me before my daughter was born, and albeit the game has changed quite a bit once I threw a baby into the mix, these rules still apply. I’d like to do a follow-up post with specifics that apply to only work-from-home parents as well. 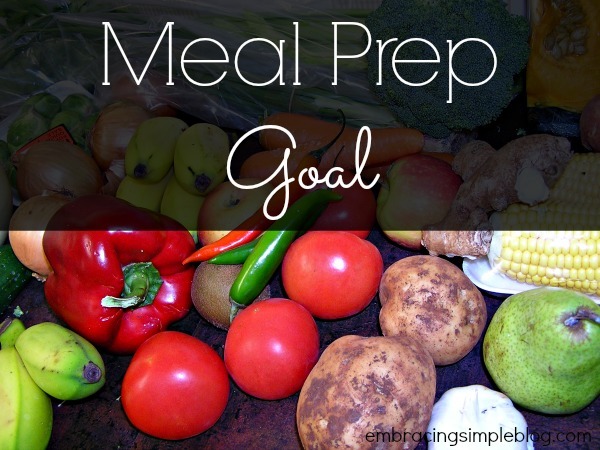 One of my goals to accomplish over the next few months is to start meal planning and prepping on Sundays. I am juggling a lot during the week with taking care of my 6-month-old daughter and working from home simultaneously (I use zero forms of babysitters during the week), so anything I can do on the weekends to ease that burden a bit and make our home run smoother is something worth trying! How many times in your life have you told yourself that if you were making a certain income, owned that picture perfect home, or could afford more in general, that you would most certainly be happy? This is one of the biggest lies that we tell ourselves. Happiness cannot come from external milestones or material possessions. It must always come from within. I once believed that being successful at work would make me happy. If I could just climb the corporate ladder and have that glorified title, I would surely be happy. Wouldn’t I?